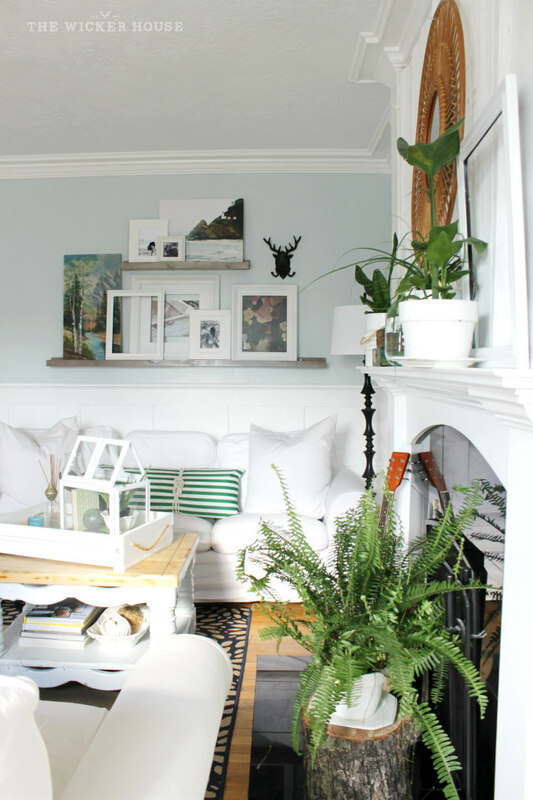 Livening up our Living Room & Tips on how you can Liven up your Spaces too. 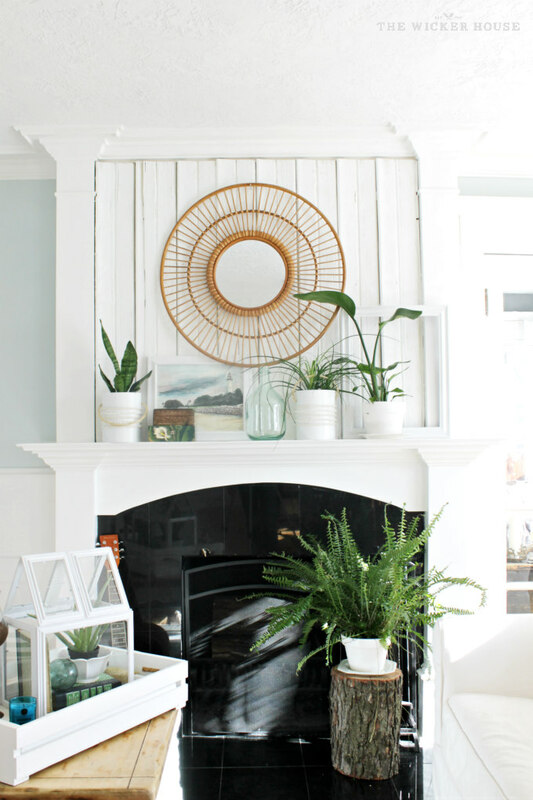 I'm so glad you stop by today because I wanted to share with you how I've livened up our living room to give it a fresh new look. I also hope that I can inspire you in some way or another with my simple tips on how you can liven up your spaces too. Once I took down all of our Christmas decorations, I was left with an empty canvas. All that was left in this room was basically just the furniture. The mantel, gallery ledges, and coffee table were pretty much all empty. This allowed me to give the whole room a fresh new start. Starting from scratch, I then slowly started introducing new decor to the room. Now when I say new decor, I don't mean I went out and bought a bunch of stuff, instead I gathered things from around the house that I may have forgotten about. 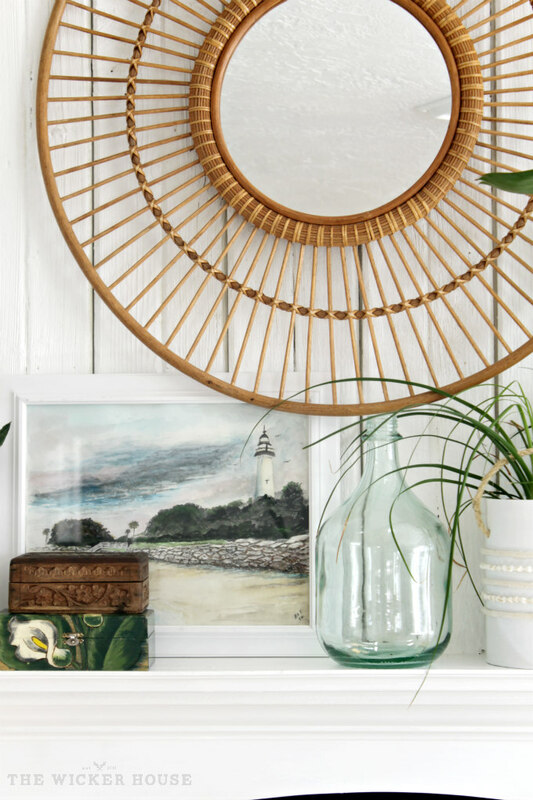 By using what you already have and placing it in a new spot, it can make your decor feel fresh and new again. However, it is okay to buy a few new items that you absolutely love. "Oh My Gosh! I dreamed up this mirror, and here it is." And it seriously could not be any more perfect for the space. I then decided that artwork would be something that would really bring my gallery ledges to life. So I gathered up a few paintings that I already had, mixed in some of my own photography, and the boat picture from Freckled Laundry. I also added an empty picture frame because I just love to layer things. I think the gallery ledges turned out really beautiful. 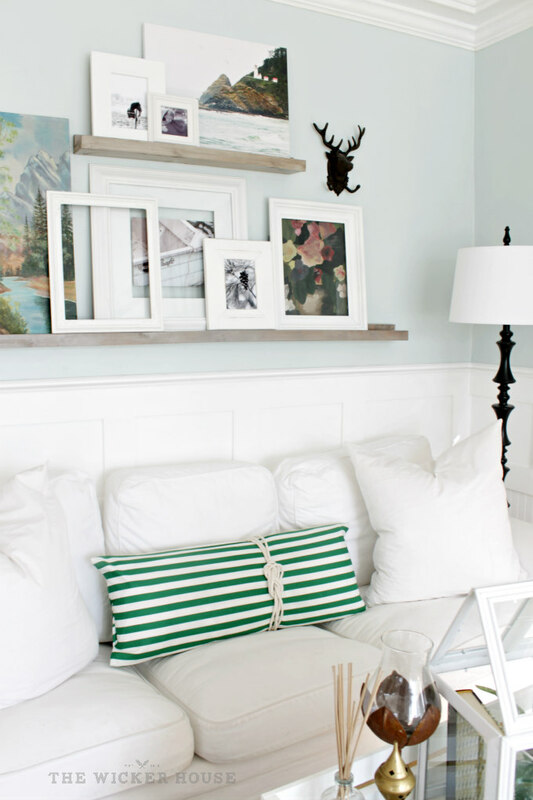 Pillows are the easiest way to liven up a space. I like to play around with different patterns. Here, I basically brought out my big bag of fabrics placed them one by one the couch until I found one I liked, and then I sewed it into a pillow. I added another painting to the mantel. This is a favorite one of mine. It was painted by my husband's grandpa. I stacked some little wood boxes next to it and added my signature glass bottle to the mantel. I love adding bottles to my decor. Out of everything I've added, the one thing that has livened up the room more than anything else are the house plants. As soon as I brought them in, the room just felt more alive. 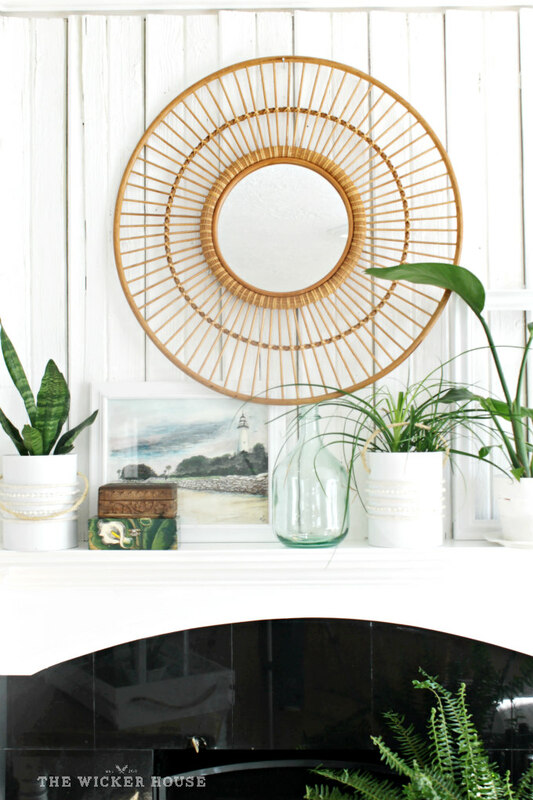 So another thing I want to encourage you to do, is to bring house plants into your space. 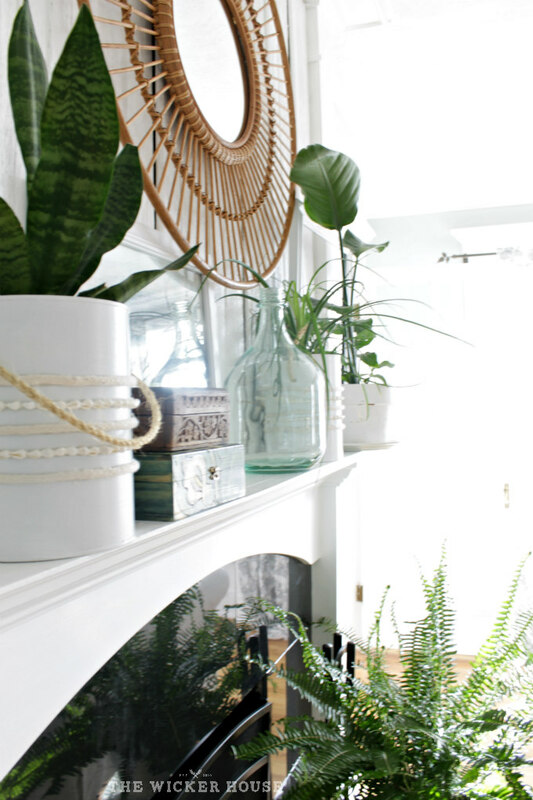 I feel like you can never have too many plants, and they are so beneficial to your home is so many ways. There are so many easy-to-care for plants, you don't have an excuse of saying you don't have a green thumb. Here I have added an Aloe Vera plant to our coffee table. This is one of those plants you can get away with forgetting to water here and there. I've also layered my coffee table with candles and incense. 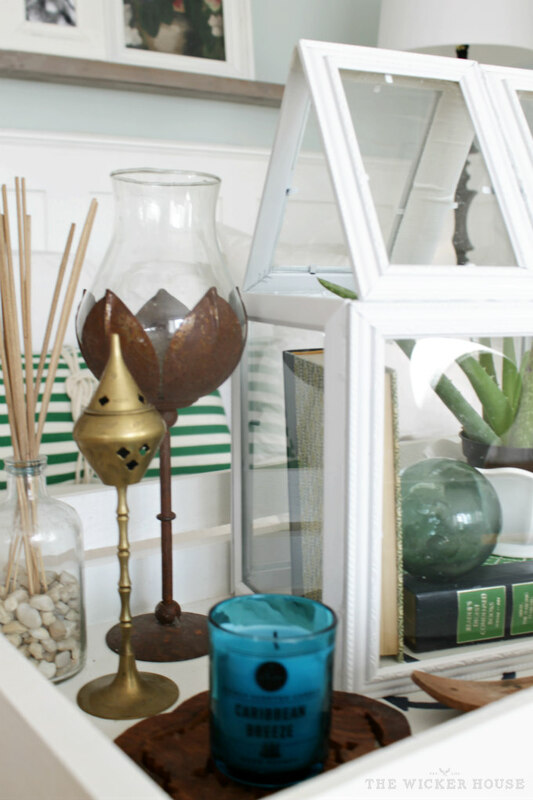 Another instant way to liven up a space is to light a candle and/or burn an incense. I like earthy scents and believe they can bring joy, energy and peace into any space. I always like to bring the outdoors in whenever possible. 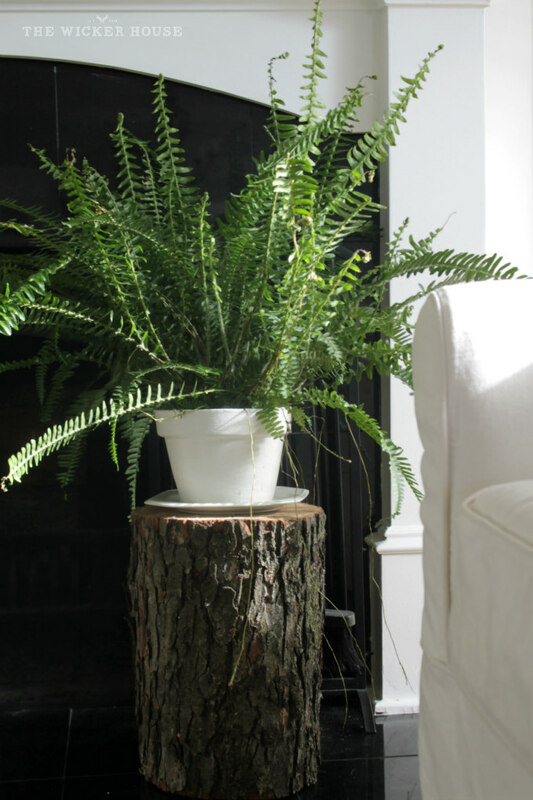 So here I have used a large log as a rustic side table, or I guess I should say plant stand. A stack of books on the coffee table invites you to sit down and relax. 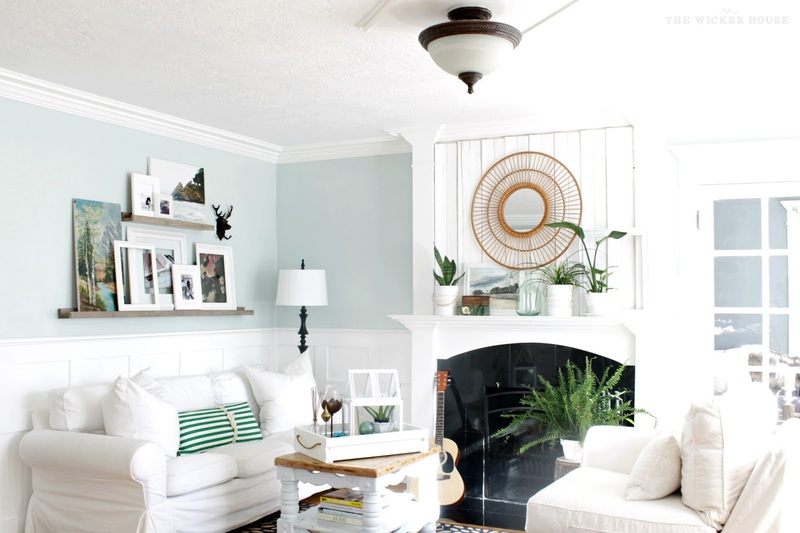 A guitar in the corner, or music playing is another way to give your space that relaxed vibe. We are all about being relaxed and comfortable around here. These winter days can sometimes be so gloomy out, so when the sun does come out, I'm alway sure to let it in by opening up the curtains. 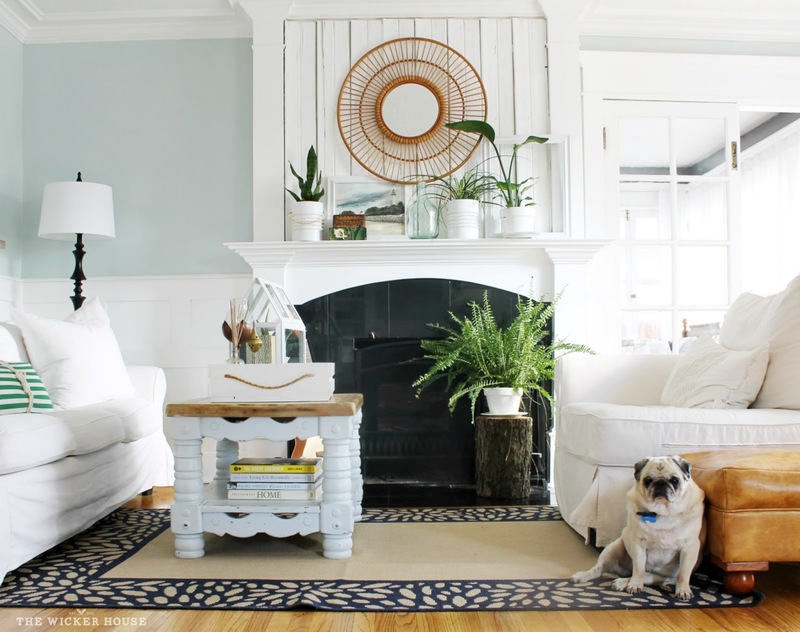 Tip #10 Create a Kid and Pet friendly Home. 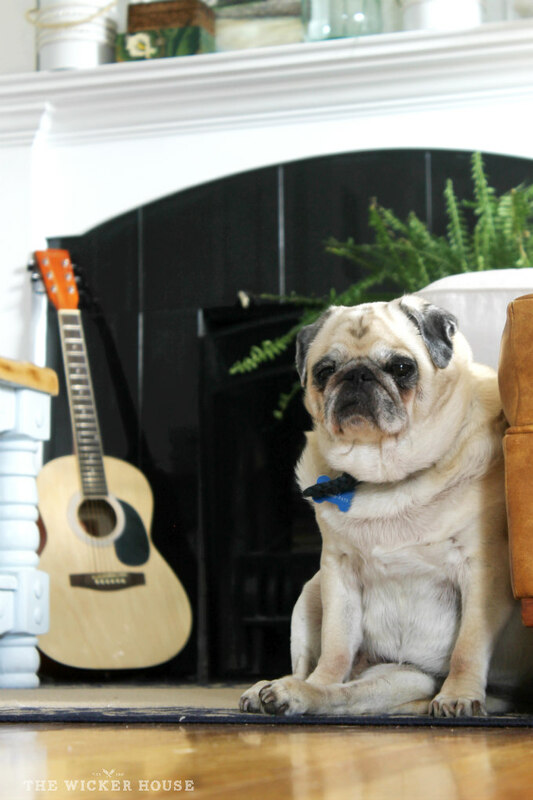 My boys and sweet Abby pug fill our home with so much happiness. They are what make this house come alive with laughter and joy. I allow them to run round, jump on the couch, have Nerf battles and sword fights in our living room. Nothing in this house is more precious then they are. 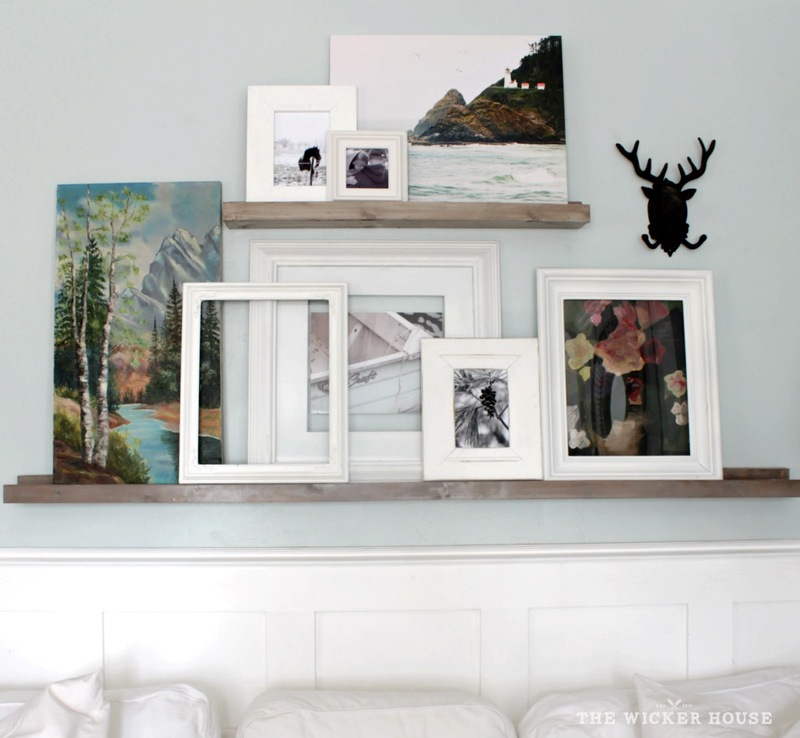 Do you have any tips on how you like to liven up a space? I'd love to hear them. this is perfection! so light and bright and fresh! I love it!! Especially the shot with the fern on that awesome stump!! Your room looks so so good! I am also wondering how you get the pictures you take so big? I think we are both using blogger....I want to spend some time re doing my blog layout and seem to have trouble with getting larger pictures. Thanks for your help ...and again what a great room!! So I have boys and a toddler girl and I love the idea of white slipcovered couches but my husband thinks I'm crazy--do you love yours? And could I ask where they're from? I absolutely love it! Green, brown, white all things fresh! 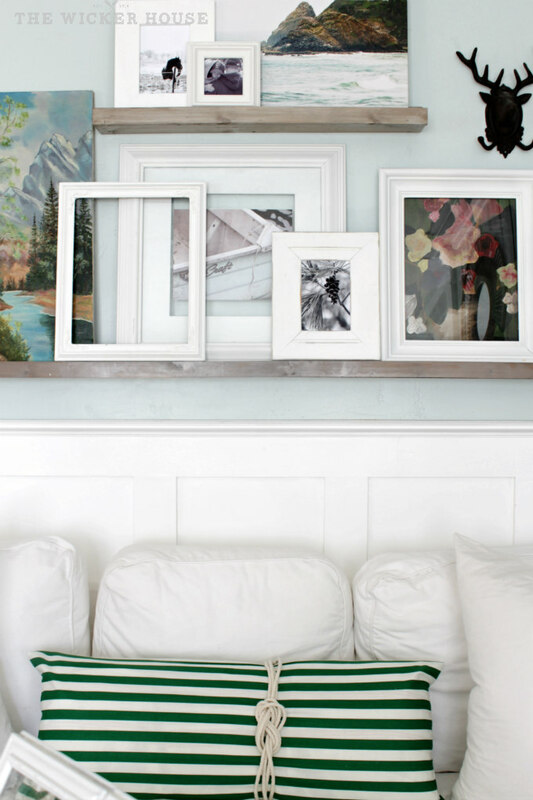 I love how you refreshed this room! I didn't think it could get any prettier, but you amaze me every time! The greenery is so pretty! Thanks Cami! You are the Sweetest! Emily, the room looks beautiful! Such great ideas. Don't you love it when you find what you want right away? And, Abby!! So cute!! This is such a great post, Emily! 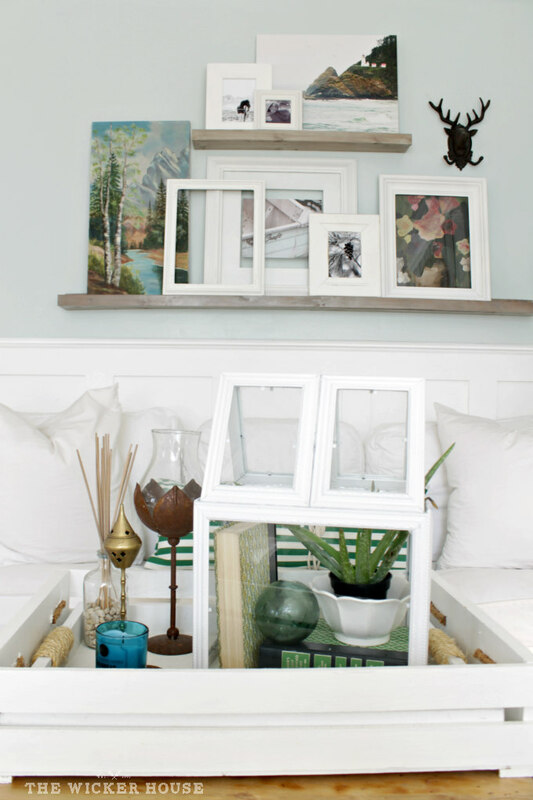 The glass bottles and house plants really are the "cherry on top" for this room. And I love, love, love your new pillow. 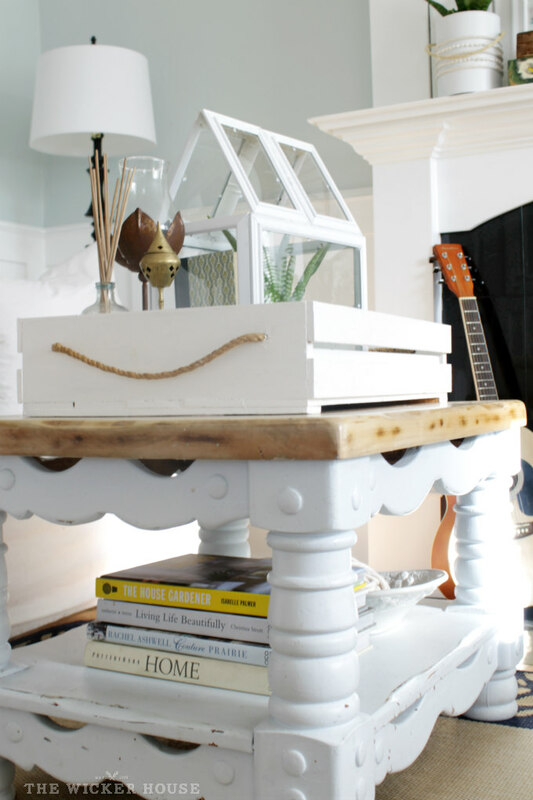 Now, I want to whip one up for my parents beach house!